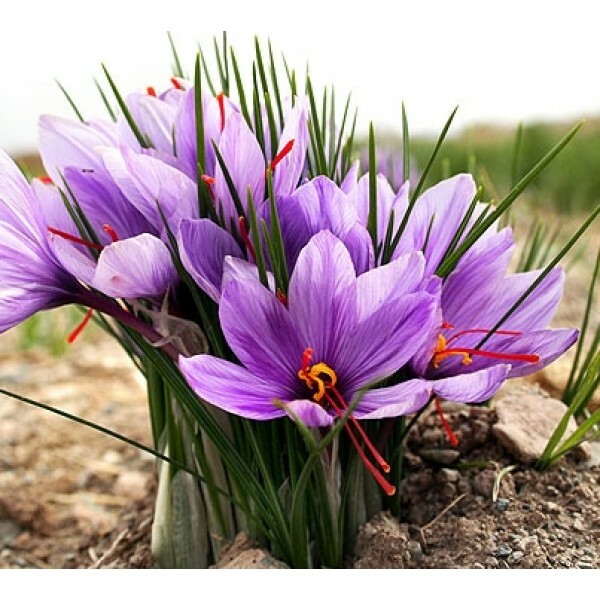 This Pack Contains, 5 Saffron (Kesar) Bulbs. Plant the corms 6 in. apart and 3 in. deep in rich, well-drained soil. Using your bulbs, this will create a saffron bed about 2 ft. by 5 ft. As a bonus, you may plant this bed with summer annuals, while the saffron is lying in wait beneath the mulch for its autumn growing season. When cold weather begins to nip, you pull it out, and there is the saffron, pushing up for its turn in the October sunshine.